The Menton Music festival is the oldest and one of the most prestigious music festivals in Europe. Piano features significantly in the festival with both outdoor concerts in the wonderful medieval town square, and indoor concerts inside the exciting ultra modern Museum Jean Cocteau that houses the Severin Wunderman collection. 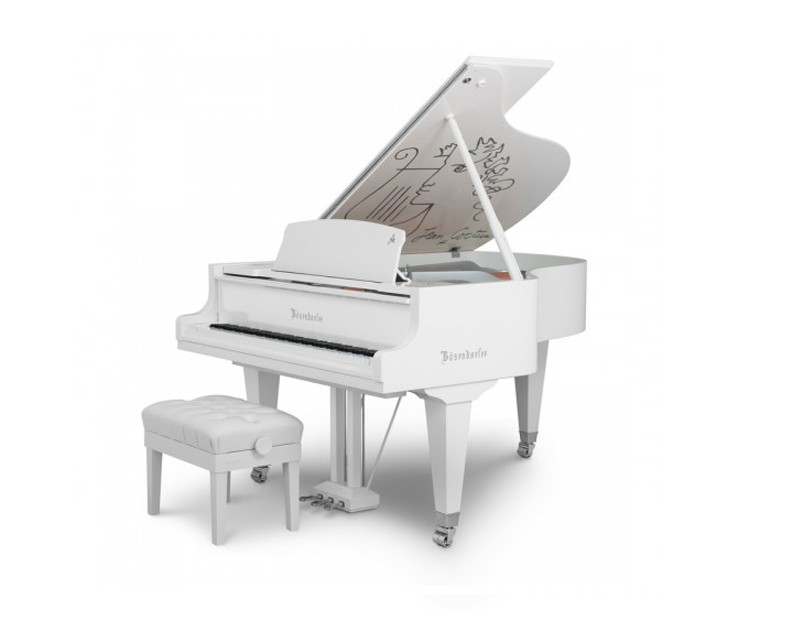 In recent years the Museum concerts have been performed on a Bösendorfer so it was considered appropriate to make a special Bösendorfer “Cocteau” instrument. Jean Cocteau (1889-1963) was a French writer, designer, playwright, artist and filmmaker. He was a contemporary of Picasso and had working associations with many world famous artists and musicians like Igor Stravinsky and Erik Satie. The model itself was officially revealed the first time at the International Music Fair in Frankfurt, Germany. 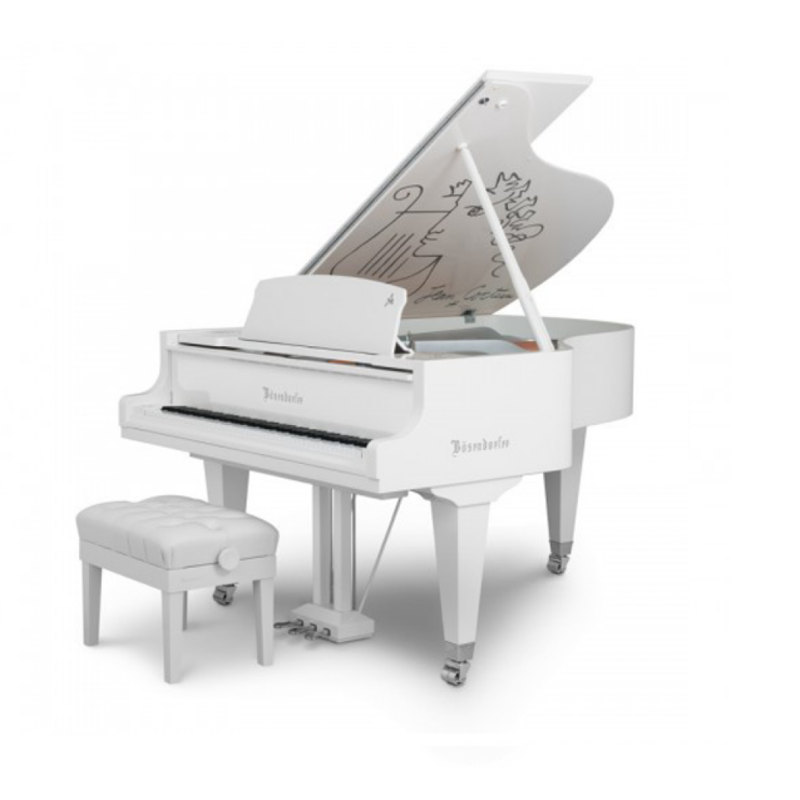 The Piano is available in 200 and 214 sizes, by special order as well in the size 185. It can be ordered in either black or white polyester with chrome fittings and a silver colored frame and is limited to 12 pieces.